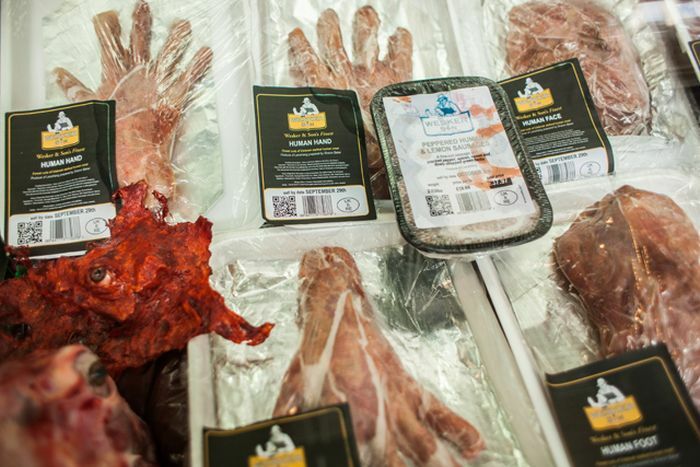 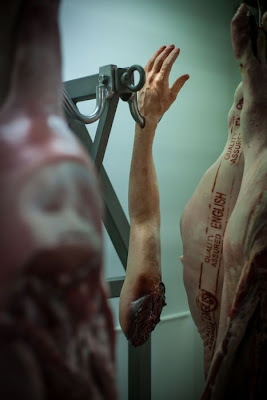 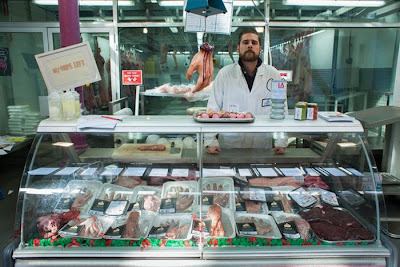 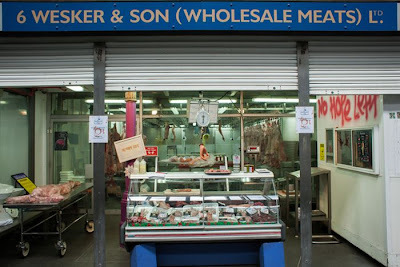 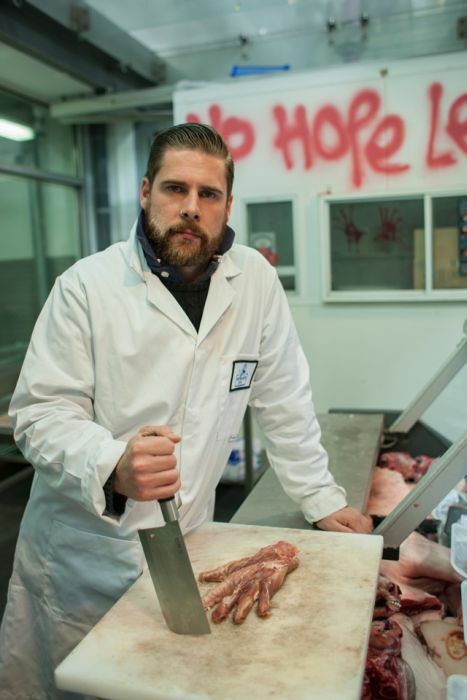 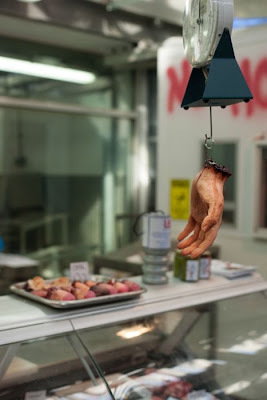 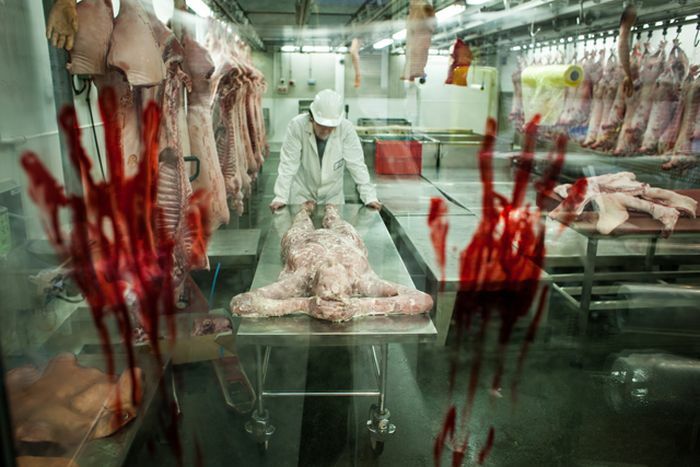 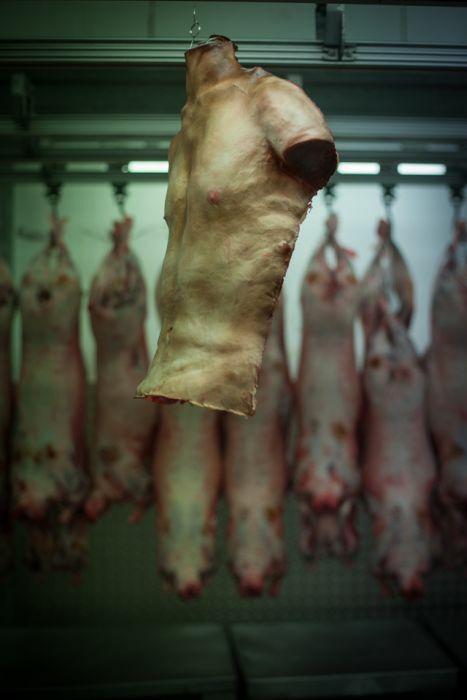 Capcom set up a human butcher shop in Smithfield Meat Market in East London to promote the release of the game Resident Evil 6. 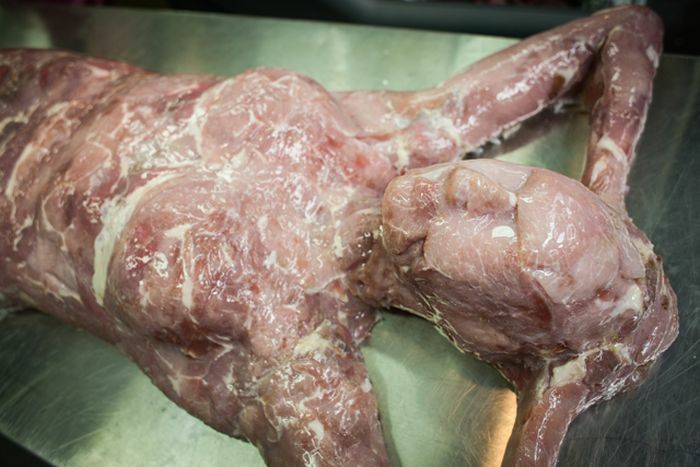 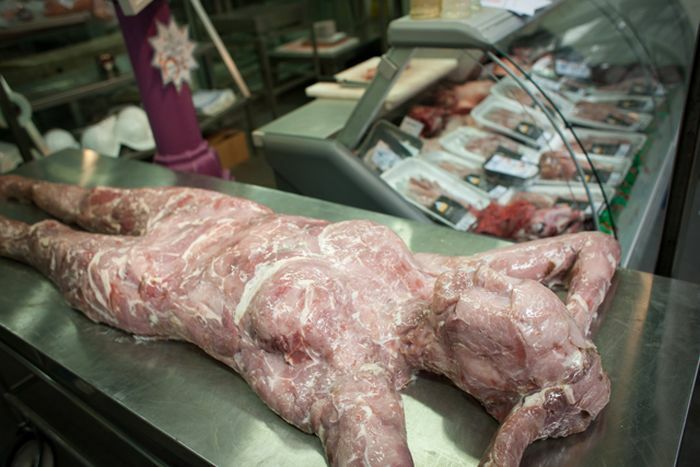 Yes it is real meat, though apparently it is not human meat. I don't know what kind of meat it is.